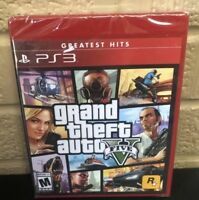 random_quality_deals has no other items for sale. Enjoy precision gaming control with the Sony PS3 DualShock 3 SIXAXIS Gaming Controller. You can rely on this gaming controller for an intuitive gaming experience. This wireless gaming controller is compatible with PS3 gaming consoles. Fast shipping, great packaging, much appreciated 5 star service. Great price. Great find. A+ Seller. Asset to eBay. Accepted return and refunded immediately; awesome customer service. Thank you!! Thanks. Great seller. Super duper fast shipping. The left joy stick clicked up and down a bit, but other then that there is nothing wrong with the controller. Works great for used looks pretty much brand new. Is being used constantly with no issues in gaming. If you are just looking for a replacement controller or spare then it’s fine but I was looking for a genuine original. This is obviously a refurbished controller with a new skin on it and the new joysticks on it. Controller won’t charge right or shut off right half the time. When charging and controller off u hit any button and it turns back out. When plugged in trying to watch Netflix it won’t shut off and charge, stays on the whole time. Thought this would be a better route then going to the local GameStop and getting another dud referb controller but guess not. Overall disappointed in the product and the deception used saying it’s a brand new original when it clearly isn’t. 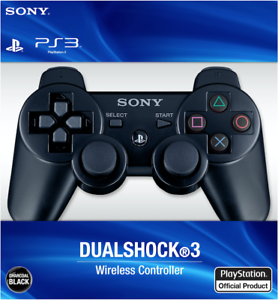 If you are in the market for a playstation controller then look no further the dualshock 3 controller has it all, it is light and nimble and has so much battery life, this is a must have for any playstation owner. This is a good investment for all gamer pros. Once again sony has done it again thank you. -Aaron j. Easy to grip, with buttons easy to find and use. Control surfaces a little stiff at first but with use work great. Overall very responsive controls and battery will last for hours of play time. Communication of buyer lacks, shipping was delayed. When we received the item first red flag boxed said black but item was blue, once opened it smelt like burnt molded plastic. When we tried to sync it to the ps3 it wouldn't because it's not a Bluetooth/wireless compatible controller. We had to use a USB cord to get it to function which it barely did. This is a generic controller that just has ps3 covers it is not real and is useless. I thought the price was to good to be true, even as a generic controller it does not get the job done. Please look for a controller else where if you want an authentic controller.